Toshimaru Nakamura, musicista giapponese, dopo 'lunghi ed infelici' anni di chitarra elettrica, ha cominciato a produrre musica con una particolare configurazione elettronica che lui stesso ha denominato 'no-input mixing board', il mixer senza strumenti. Ha al suo attivo numerose pubblicazioni, sia in solo che in collaborazione con rinomati artisti del panorama internazionale quali Otomo Yoshihide, Keith Rowe, Thomas Lehn, Kim Cascone, Lucio Capece e molti altri. L'improvvisatore di Tokyo coltiva l'immobilità, fisica, musicale, emotiva: l'assenza. Per descrivere la musica di Nakamura, potremmo immaginare minuscole creature intente a rosicchiare il silenzio partendo dai bordi. È infatti musica di dettagli e impercettibili spostamenti molecolari. 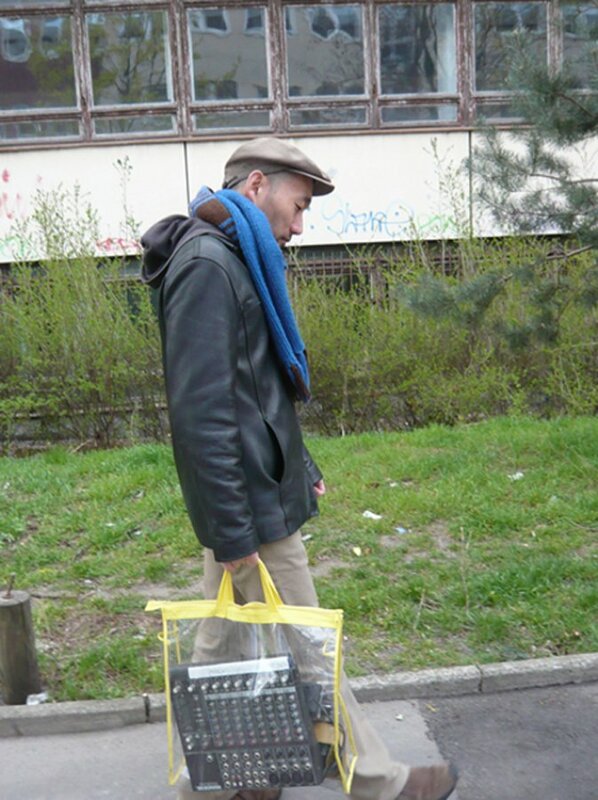 Toshimaru Nakamura is a a japanese sound artist. His instrument is the no-input mixing board, which describes a way of using a standard mixing board as an electronic music instrument, producing sound without any external audio input. The use of the mixing board in this manner is not only innovative in the the sounds it can create but, more importantly, in the approach this method of working with the mixer demands. The unpredictability of the instrument requires an attitude of obedience and resignation to the system and the sounds it produces, bringing a high level of indeterminacy and surprise to the music. Nakamura pioneered this approach to the use of the mixing board in the mid-1990's and has since then appeared on over one hundred audio publications. He has performed throughout Europe, North America, Argentina, New Zealand, Australia, Korea, China, Singapore and Malaysia, performing and recording both as a soloist and in collaboration with numerous other musicians. He is also an active organizer of concerts in Tokyo. From 1998 to 2003 Nakamura and Tetuzi Akiyama ran the concert series Improvisation Series at Bar Aoyama and then later the Meeting at Off Site series of concerts. Both these concert series were crucially important in exposing a new manner to improvised music (referred to as Electro Acoustic Improvisation) to the Japanese public and to foreign musicians visiting Japan, making Tokyo one of the global hotspots for this new approach to music.